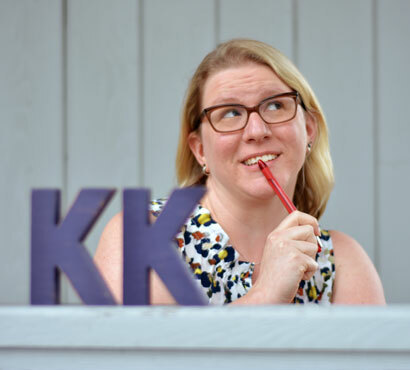 Kelly joined the EZMarketing team in 2018 as a Copywriter, bringing a diverse professional background chock full of writing and editing experiences to inform her work. In the past decade, she’s split her time roughly equally between higher education administration at Pennsylvania College of Art & Design in Lancaster and digital marketing for outdoor e-commerce retailer BackcountryEdge.com. After graduating from Lancaster’s own Franklin & Marshall College with a BA in English in 2004, Kelly spent two years at Case Western Reserve University in Cleveland, OH obtaining a Master’s degree in Art History & Museum Studies. Kelly’s content creation abilities are what drew her to the marketing world, and writing clear, friendly blog posts and other copy that gains excellent exposure for clients truly makes her happy. While she has a strong base of knowledge and experience in other marketing areas from the client side, Kelly most appreciates being able to focus specifically on writing. She deeply believes that marketing without good writing isn’t really marketing at all. When not in the office, Kelly can be found spending quality time with her husband Joe and their small herd of very differently sized cats. She enjoys spending time outdoors pretending to garden, going for hikes in the woods, or looking at the moon. She’s also been known to sing on occasion, loves a good comedy special, and enjoys trying new restaurants with friends and family.